Coming Soon! New Harrison Generating Station! 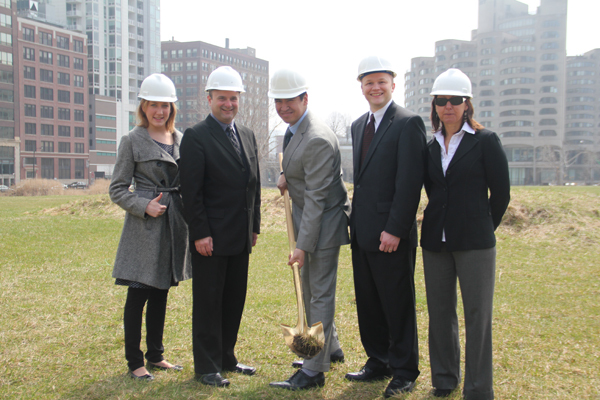 Midwest Generation is please to announce that it is breaking ground on a new power generation station in Chicago, IL. Our new location, Harrison Street Generation Station, or more commonly being referred to as “The Loop Plant,” is expected to start being constructed in the beginning of May 2011. Concern for the environment is a core value for the Midwest Generation company. We’re proud of the service and value we provide, and we seek to minimize our environmental footprint wherever and whenever possible. 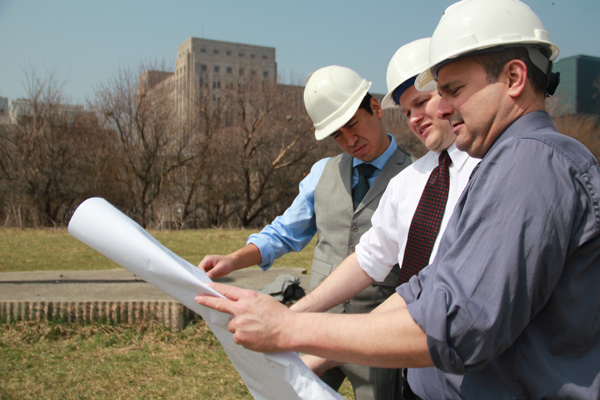 We have incorporated environmental planning into every step of this project. 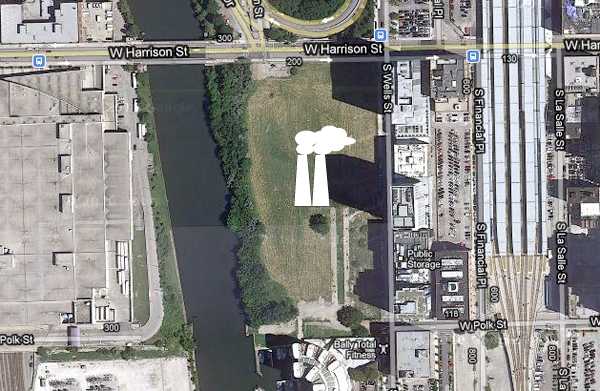 Prior to the development of a project, an environmental impact assessment (EIA) identified the impacts of development, construction, and operation of a generating station in this and other potential locations along the Chicago River. We have selected the vacant lot on the southwest corner of Harrison and Wells for its proximity to necessary water resources for coal transport and plant cooling, as well as traffic corridors essential during construction and operation of the plant. This new generating station will confer benefits to the residents of the South Loop. Midwest Generation will provide discounted power rates to businesses and residents within a one-mile radius of the new plant. Furthermore, the construction and operation of the new plant will generate new revenue for local businesses. Guided by our values, we intend to keep leading the way in electricity. “A great day for Midwest Generation! I just got back from the groundbreaking ceremony for our new coal plant in Chicago at Harrison and Wells. It was very exciting. We could not have asked for a more beautiful, warm, mostly clear and sun-shiny spring day. Our CEO, Franklin Murillo, looks good with a golden shovel in his hands, doesn’t he? This is one of the most exciting parts of my job, watching the turn of a shovel on a patch of land along the river grow into a big coal-fired power plant. That little pile of dirt will bring jobs and electricity to one of the most invigorating neighborhoods in Chicago, the South Loop. After mining our brains for a great name for our new coal baby, we came up with the name Harrison Generation Power Plant, appropriately named to honor the South Loop neighborhood we’ll be in, which is what we are all about. We're excited to be back in action in the beautiful South Loop! We are committed to serving the needs of an evolving customer base...follow @MidwestGen for news about all the ways we are serving you!